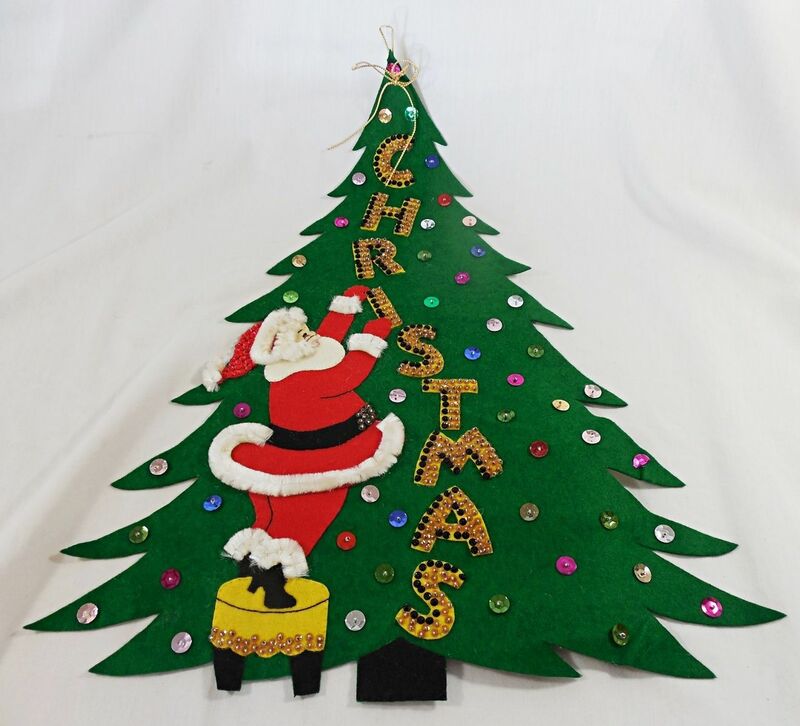 This is a favorite keyword search for me, Vintage Christmas Sequins Felt. 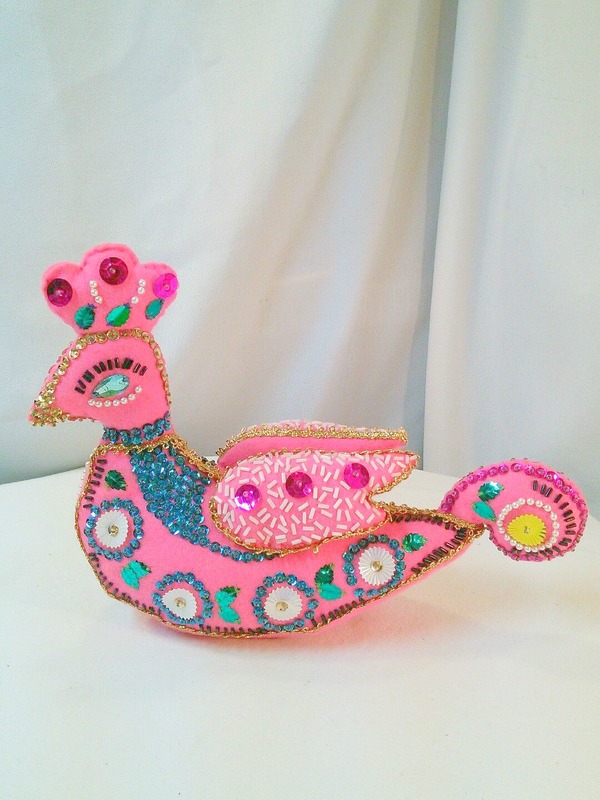 I love these very kitschy creations, most were some serious labors of love. 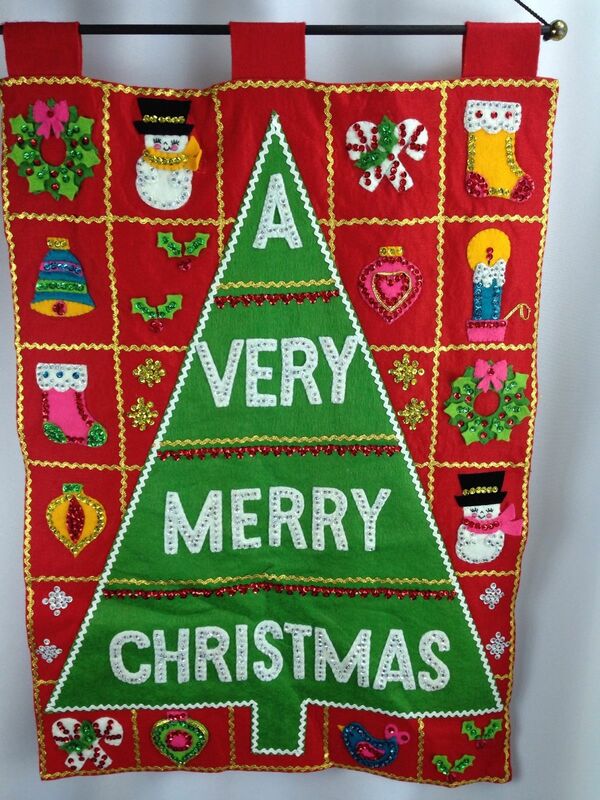 You’ve got ornaments, tree skirts, stocking, wall hangings, toilet seat covers (yes! ), switch covers, door knob covers, the list goes on and on. I found all these treasures currently on eBay for the taking. 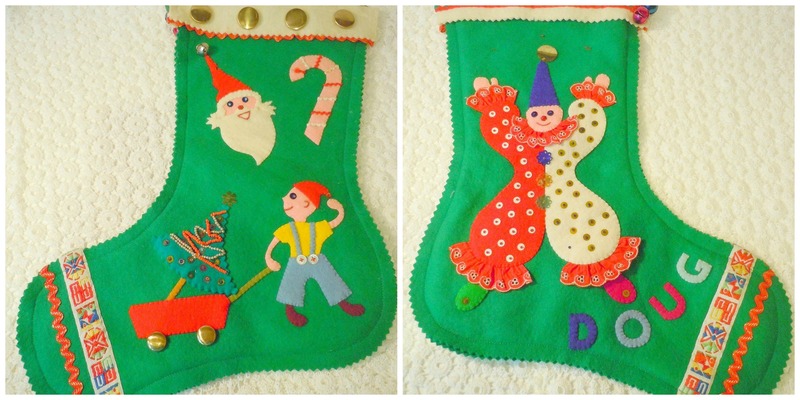 Let’s start with a stocking. This one is so personal, for Doug! I love that is is two sided. Now how about some ornaments. This so pretty and so pink. 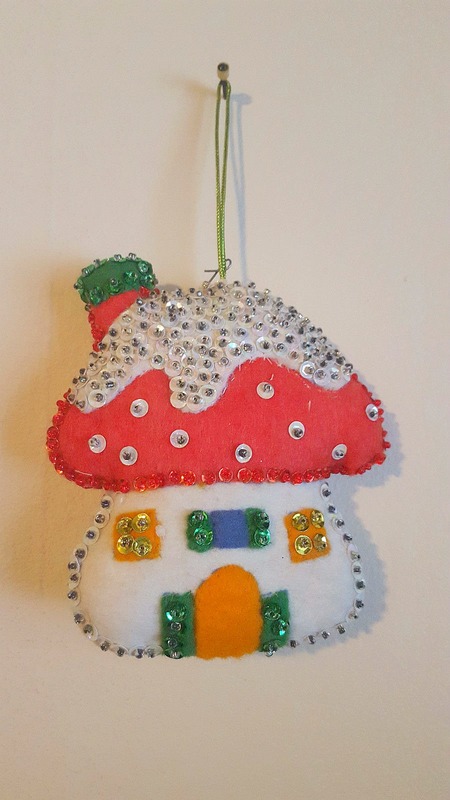 I’m a sucker for a mushroom ornament, especially in felt. 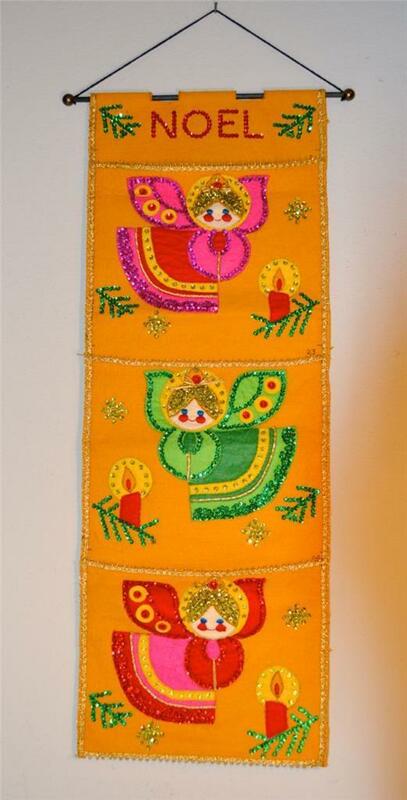 How about some wall hangings next? This one has a lot going on but I love it. 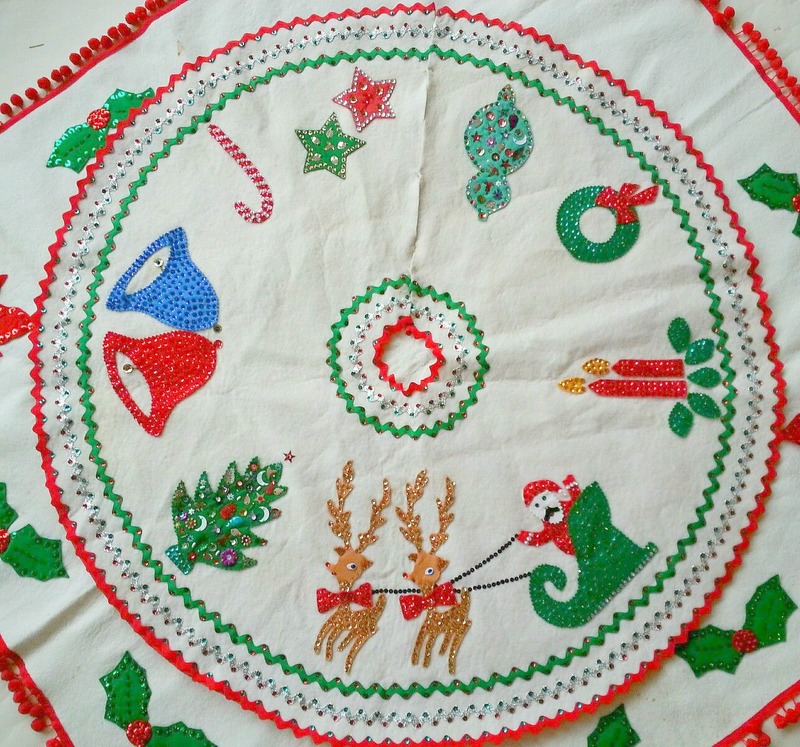 There are a lot of tree skirts to pick from on eBay but this one is outstanding and in great condition. Well, that is just a small sample of what you can find using the keywords sequins and felt on eBay.